Rare candy in Pokémon Go can be used on any Pokémon at any time. Here's how to get it, how to use it, and what you should use it on! Rare candy came to Pokémon Go with Raid Battles. These days, you can get it by beating Raid Bosses and completing Field Research tasks. Unlike the usual, species-specific candy, you can convert it for use on any kind of Pokémon in your collection. At first, you can't get enough of it. Then, you're flush with it and can't stop using it. Eventually, though, it starts to fill up your storage and you need to figure out what to do with it. What is rare candy in Pokémon Go? 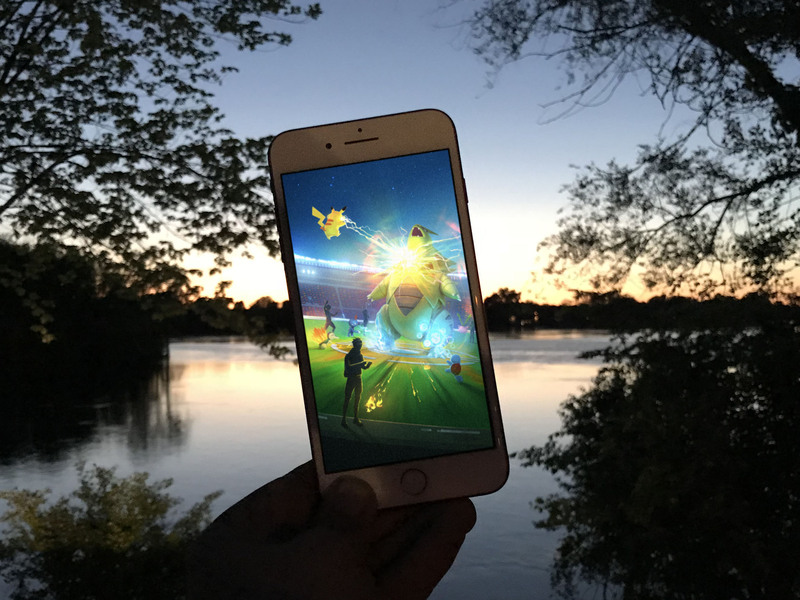 When Pokémon Go introduced Battle Raids, the game also introduced several new items as rewards for winning them. That included technical machines (TMs) and, you guessed it, rare candy. More recently, Pokémon Go began giving out one to three Rare Candy for completing some of the more difficult Field Research tasks. Previously, you earned candy for a Pokémon by hatching it, catching it, evolving it, or walking it, and the candy you earned was specific to the Pokémon you hatched, caught, evolved, or walked. For exceedingly rare Pokémon, like Larviatar (including Pupitar and Tyranitar) or Dratini (including Dragonair and Dragonite), it could take weeks or months to get enough candy to fully evolve or power up. Rare candy, though, can be used on any kind of Pokémon. All you have to do is get it and convert it. How do you get rare candy in Pokémon Go? The first way to get rare candy by winning Raid Battles. You win Raid Battles by beating the Raid Boss. You beat the Raid boss by getting together with fellow Pokémon Go players and kicking @$$. The more Battle Raids you win, the more Raid Bosses you beat, the more rare candy you get. The second way is by getting and completing some of the more challenging Field Research tasks. You can get one to three rare candy this way, even if you don't or can't Raid. Can you buy rare candy in Pokémon Go? No, alas. The closet you can come to buying rare candy in Pokémon Go is buying premium raid passes so you can win more Battle Raids and get rare candy as a reward. How do you use rare candy in Pokémon Go? Once you have rare candy, you can use it on any Pokémon you wish. Tap the Menu button, bottom middle (looks like a Poké Ball). Tap the Items button, bottom right. Tap on Rare Candy (scroll down towards the bottom). Tap on the Pokémon you want to transfer the rare candy to. Tap on the + or - buttons to adjust the amount of rare candy you want to transfer. Tap on YES to confirm the transfer. Alternatively, you can pick the Pokémon first. Tap the Pokémon button, bottom left. Tap on the Menu button, bottom right. Tap on the Items button, top right. Which Pokémon should you choose for your rare candy? Getting and converting rare candy is easy, knowing what to convert it to is hard. It could be because you don't have much and you're terrified of wasting it. Or, it could be that you have a good amount and really want to start making use o fit. Or, it could be because you have so much it's clogging up your storage and you need to figure out what more to do with it. The first step to figuring out where your rare candy should go is figuring out where it can help you the most. Attackers have become the most important Pokémon in the game, especially the Raid Battle game. You want them and you want up to a half-dozen of them powered up to level 30 or higher. That takes a lot of candy — including rare candy. Since Machop, Exeggute, and Geodude nest, you're better off grinding them for candy and saving the rare candy for Larvitars or Legendary Pokemon. Gyms are now about getting your 50 coins and/or your gold badge, and that means defenders who can last 8:20 to fully cash-up, or up to 16 days to fully badge out. Since any high level CP decays quickly now, you want to power them up high… but only as high as you get the turnover you want, or can afford to feed it for as long as you need. And since you can have up to 20 Gyms, but only have one of each kind in any one Gym at the same time — and no Legendaries! — you'll need to have not only a few of the best, but a few of several types of the best. Magnemite to evolve Magneton into Magnazone. Lickitung to evolve into Lickilicky. Rhynhorn to evolve into Rhyperior. Tangela to evolve into Tangrowth. Elekid to evolve Electabuzz into Electivire. Magby to evolve Magmar into Magmortar. Eevee to evolve into Leafeon and Glaceon (Split). Porygon to evolve Porygon2 into Porygon-Z. Aipom to evolve into Ambipom. Yanma to evolve into Yanmega. Murkrow to evolve into Honchkrow. Misdreavus to evolve into Mismagius. Gligar to evolve into Gliscor. Sneasel to evolve into Weavile. Swinub to evolve Piloswine into Mamoswine. Since Magnemite, Rhyhorn, Electabuzz, Magmar, Eeevee, Aipom, Yanma, Murkrow, Misdreavous, Sneasel, and Swinhub nest, you're better off grinding them for candy and saving the rare candy for Lickitung, Tangela, Porygon, Gilgar, and Togetic, if you need it. Once you've got all your attackers and all your defenders all evolved and all powered up, if and when you have rare candy left over — or piling up! — there's really only one thing left to do with it: Save some for the future, and spend some on your favorite Pokémon. You know the ones: they aren't great attackers, they aren't great defenders, but they're cool and you've always just loved them. 100% or close to 100% Pokémon you want to max out just because. Regionals you've managed to collect and want to show off. Any other Pokémon you like. If you have any questions about how or when to use your rare candy, drop them in the comments below!